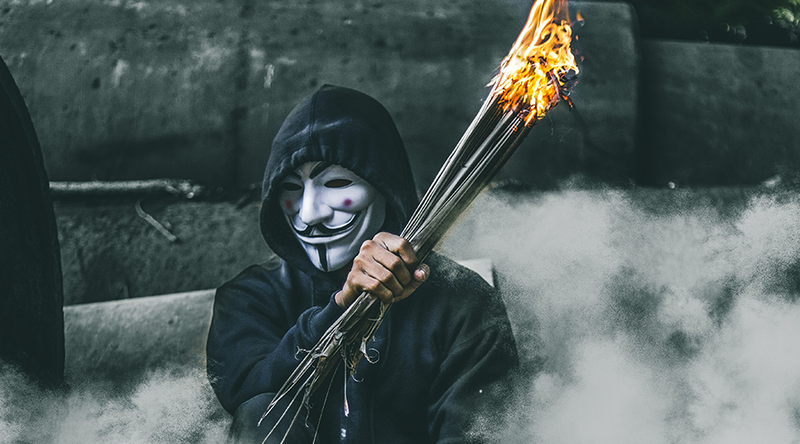 “Remember, remember, the Fifth of November, Gunpowder treason and plot, I see no reason why gunpowder treason should ever be forgot” is one of a few well-known rhymes associated with Guy Fawkes and the Gunpowder plot of 1605. Guy Fawkes’ infamy was a result of the failed plot that was meant to be actioned on the 5th of November 1605. Another verse of the rhyme details Guy Fawkes’ involvement in the plot: “Guy Fawkes, Guy Fawkes, ’twas his intent to blow up the King and the Parliament. Three score barrels of powder below Poor old England to overthrow”. The Gunpowder Plot was organised by Robert Catesby in “an effort to end the persecution of Roman Catholics by the English government” (History Channel, 2018). The plot was a failed attempt to blow up England’s parliament as well as its monarch and head of state; King James I (who held the throne between 1603 and 1625) on the 5th of November 1605. The plan, should the plot have been successful, was to replace the country’s Protestant government at the time, with a Roman Catholic one. The plots undoing occurred when a justice of the peace – Sir Thomas Knyvet inadvertently led to the unravelling of Catesby’s plan when he discovered John Johnson a man later revealed to be Guy Fawkes hiding in the cellar which lay under the parliament building. When the building was subsequently searched, thirty-six barrels of gunpowder were discovered. Fawkes was detained and after being tortured, admitted to being part of a conspiracy to eliminate England’s Protestant parliament in order to make way for a Catholic-led government. So how did Guy Fawkes find himself embroiled in a treasonous plot you may ask? Before his involvement in the Gunpowder Plot, Fawkes’ “religious zeal” had resulted in him fighting in the army of Catholic Spain against the Protestant Netherlands. Catesby, the mastermind behind the plot also had a personal grudge to bear as his father, who refused to conform to Catholicism under Queen Elizabeth I rule and was persecuted because of his contrary religious beliefs. Fawkes, along with his other Catholic compatriots was sentenced to be hanged, drawn and quartered. However, Guy Fawkes took matters into his own hands and jumped from the gallows before being hung. Guy Fawkes Day, also known as Guy Fawkes Night and now more commonly Bonfire Night, is celebrated annually across Great Britain on November 5th in remembrance of the failed plot. Many light bonfires or effigies of Guy Fawkes as well as set off fireworks. Guy Fawkes has also been the inspiration for many pop-culture productions, the most well-known perhaps being the 2005 film; V for Vendetta which makes use of the ‘Guy Fawkes mask’ as a symbol of rebellion. Although Guy Fawkes Day/Night is predominantly a British celebration, the day does not go by unacknowledged in other countries – with many participating in the less historical bonfire version.